Fun For All Ages – First Time Riders Welcome! Myrtle Beach Horseback Riding & Trail Rides by Wampee Stables. Come out and enjoy a ride through the countryside by taking one of our beautiful horseback trail rides. See another side of the Grand Strand on our nature trails while visiting our pristine beaches. Just moments from all major highways, but worlds away from the traffic & Confusion is Wampee Stables. All of our Myrtle Beach horseback trail rides are by appointment only so please call for reservation today at 843-241-8768 or reserve your ride online. Your reservation is tentative until one of our team members confirm your order. 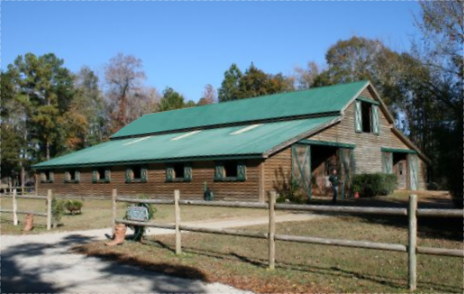 We look forward to seeing you at the areas favorite #1 Myrtle Beach Horseback Riding Attraction Wampee Stables! This was honestly the best place I have ever been for horseback riding and I will enjoy the memories forever. I just wanted to let you know that I had a fantastic time while I was at your stables! Everyone was extremely friendly and the trail was beautiful. Every one in our party had a fantastic experience at Wampee Stables!! The staff was extremely friendly and everyone had a smile on their face. It is a great place to take the family! Thank you so much for a wonderful ride. I loved it so much and can’t believe I have such a great son who gave this to me for Mother’s Day. I couldn’t have asked for a more perfect day. I hope to do it again. Thanks, Susan…P.S. Tell Dollar and No Name I said hello. The staff made sure that every person had enough time to get used to the horse they would be riding. The stables were nice and clean and the owner even supplied sunscreen and bug spray for protection during the trail ride. Heather Cheeks Sara… Fond du Lac, Wisconsin – “Sincere thanks for an outstanding experience” We had an amazing day horseback riding. We had a 6, 8, 10 and 17 year old along with us and everyone had a great time. The trail was beautiful, and the ride was extremely pleasant. Cold drinks were provided at the end of the ride, and free pictures were taken and emailed to us after the ride. Overall I loved my experience at Wampee Stables and I would recommend it to anyone, it was by far the best place I have ever gone for horseback riding…. Children ages 5 yrs old & up ride their own horse. Our experienced staff works with each rider and makes sure they are comfortable before going on the trail. Horseback Riding Myrtle Beach Attraction!